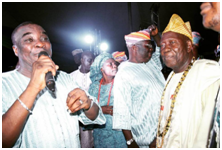 The coronation of Oba Saliu Akanmu Adetunji (Aje Ogunguniso I) as the new Olubadan of Ibadanland is referred to as the best by many indigenes of Ibadan. 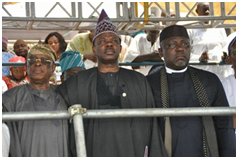 The event which held on Friday, 4th March 2016 at Mapo, Ibadan was attended by governors, past governors, president representative, high profile politicians, kings from different parts of Nigeria and many other dignitaries. Many musicians including K1 De Ultimate performed at the event. 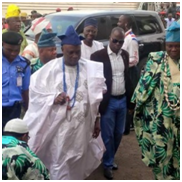 The 87-year old ascended the throne following the death of previous monarch, Oba Samuel Odulana in January. 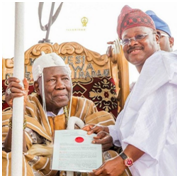 Oba Saliu is the 41st Olubadan of Ibadanland and the first Olubadan that received staff of office from an indigene of Ibadan (Ibadan indigene as Oyo state governor HE Isiaka Ajimobi).